When Team Penske announced in October that Brad Keselowski and sponsor Miller Lite had inked contract extensions, there was an interesting caveat. Miller, which sponsored a full season in 2013, was dropping back to 24 races at team owner Roger Penske's request. Penske wanted to sell the available 12 races to another company. Actually, make that companies. 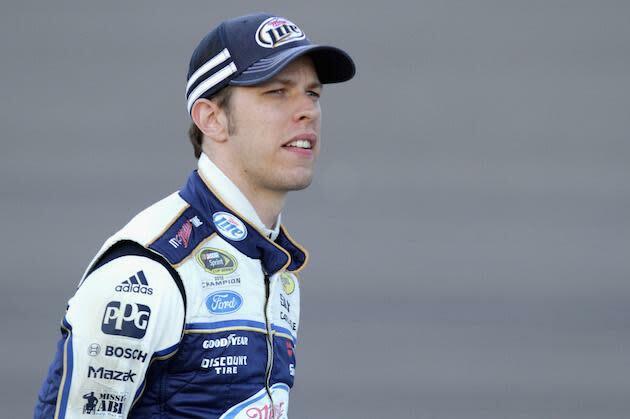 The team announced Wednesday that Wurth, a previous Penske associate sponsor, would sponsor Keselowski for four races in 2014. That compliments Tuesday's announcement that Alliance Truck Parts -- the company that was Sam Hornish's primary sponsor in the Nationwide Series in 2013 -- would be on Keselowski's car for eight races. The first race for Alliance will be at Phoenix on March 2, the second race of the season. Wurth will appear on the 2012 Sprint Cup champion's car for the first time at California on March 23. Wurth also appeared on the hood of Hornish's Nationwide car last season. However, Team Penske parted ways with Hornish after the season. Hornish, who finished second in the Nationwide points standings to Austin Dillon in 2013, is set to drive part-time in the series for Joe Gibbs Racing in 2014. After his title run in 2012, Keselowski missed the Chase in 2013. He was winless until the October Charlotte race, where he ran away from Kasey Kahne over the race's final laps for his only win of the season.